Zipit Bedding Review: Does It Give You A Sound Sleep? $65 for the full size set. Zipit Bedding was invented by Jennifer MacDonald who pitched her innovation in the TV show Shark Tank. 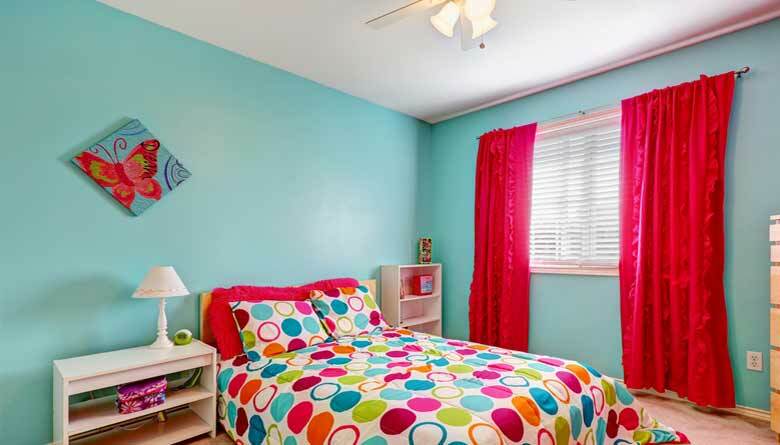 She saw how her children hated making their beds so the idea struck her. She later teamed up with her sister and formed the company MacCarron Industries to manufacture and market her product. In her official website there is no information about the accreditation or listing of her company but still it is abuzz with a good customer fan base and thousands of people making orders. Her target audience is mothers with kids.Zipit has a trial order of thirty day meaning the customer can order the product and use it in that time frame while deciding whether to purchase it or not. In case of any returns, there is a money return policy available. It guarantees the user that their money will be returned if they choose to return the product within the 30 day trial period. 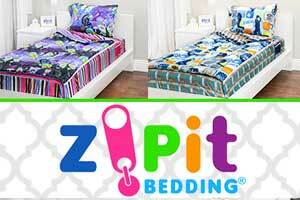 Zipit Bedding is a product that comprises a fitted sheet and a comforter zipped into one unit. Once on the bed, it is easy to use and manage. ZipIt can be fully zipped, or partially zipped then folded in different ways depending on the preferred style of the user. The bedding set is interchangeable and reversible therefore allows room for some mixing and matching to have a variety of looks. The product is soft and durable. It glows in the dark making it fun for kids of all ages. The side pockets fitted on the comforter can be used to keep cell phones or items which you take to bed and you want to wake up next to. This makes iteasier to reach out for the items without fearing that they have been misplaced while sleeping. ZipIt is very easy to wash. It is allows the user wash it as one. It is washed in gentle cold water and dried in low heat to preserve the glow in the dark element. The bed remains well made and neat. Making the bed will become fun for kids because of how easy it is by just pulling the zipper. In bed, once the child is tucked in the blanket will not fall off because it is held in place. The bed can be made in seconds therefore saving time. The child stays tucked in and warm all night. It is soft and durable. It works on many types of beds. Zippered side pocket for storage are available. It has a variety of designs for all ages. E.g. outer space, rock princess, fantasy forest, extreme sports etc. It has a glow in the dark set available. It does not fit in all types of beds. The comforter can be too warm for hot weather. Wash with cold gentle water and dry under low heat. ZipIt Bedding turns bed making into something mothers and kids can enjoy doing together. It is fun and easy to manage. The bed stays neat all the time without fear of blankets and sheets falling over. The children can have fun with the glow in the dark element and the reversible patterns which livens up the room. The reversible patterns give the user a chance to change the look of their bed. The product is easy to wash. It does not require so many processes. Zipit is guaranteed to keep your children warm and safely tucked in bed all night. Place your order and enjoy the benefits of Zipit. Amish Secret: It Is an Effective Wood Cleaner? 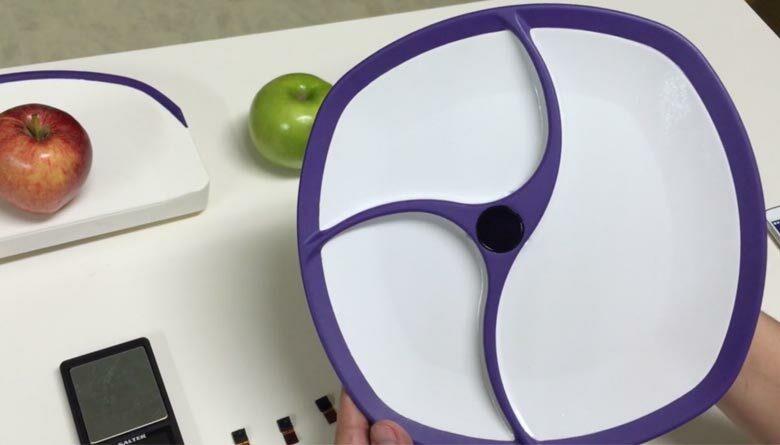 Smartplate: Does it Help to Maintain a Healthy Weight? Broom Jet Review: Is Broom Jet A Scam Or Legit?